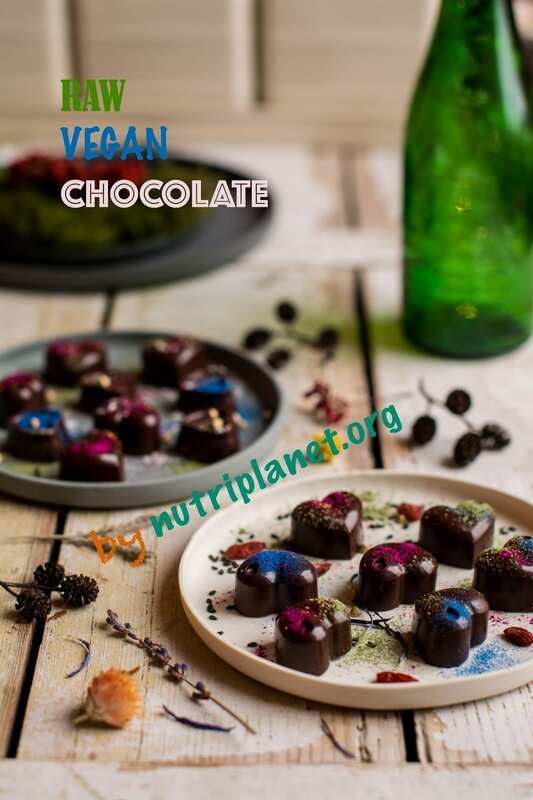 I don’t know why it took me so long to create a vegan raw chocolate recipe. 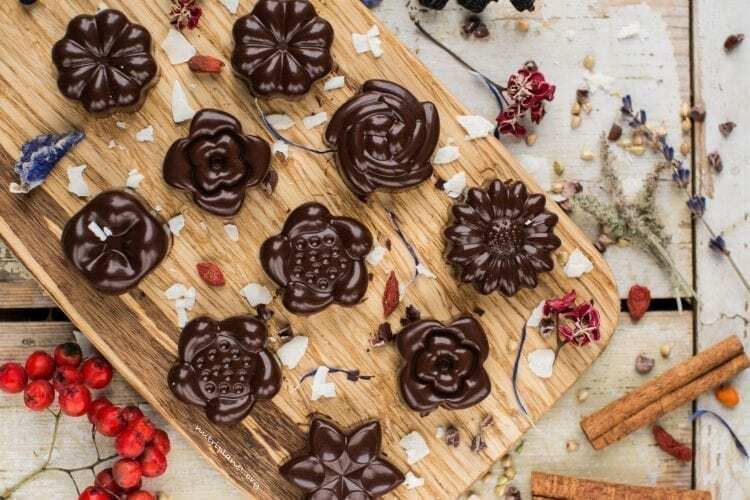 After all, it is so easy and rewarding to make your own chocolate candies or bars. Most importantly, you get to choose the ingredients knowing exactly what goes inside. 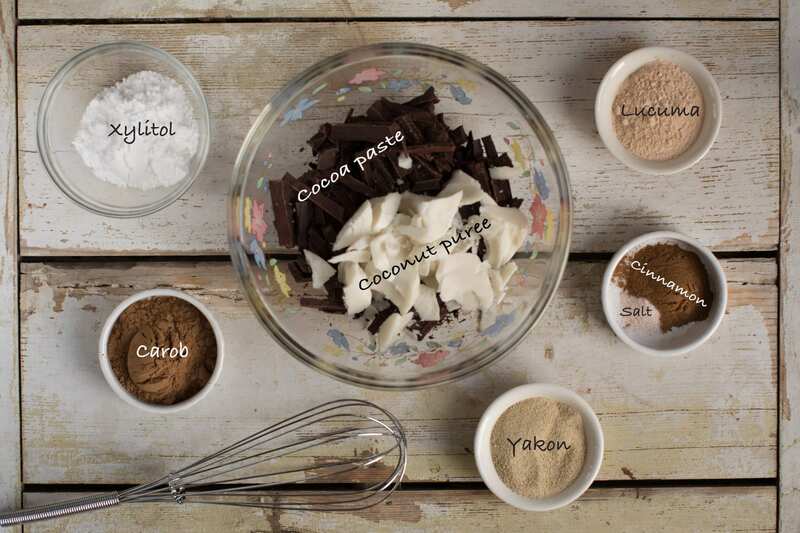 The basics of any raw chocolate recipe usually are cocoa butter, raw cocoa powder and refined sugar. Also, homemade raw vegan chocolate recipes often use virgin coconut oil. Instead of cocoa butter, coconut oil and cocoa powder I decided to go for cocoa paste or cocoa liquor as it is whole food, the way nature created it. In case you didn’t know, then cocoa liquor is made from whole, cold-milled, cold-pressed cacao beans, and can be used just like conventional baking chocolate. Don’t forget there’s a video tutorial further down! Now, make sure you choose raw version for this chocolate recipe, otherwise it wouldn’t be raw any more! 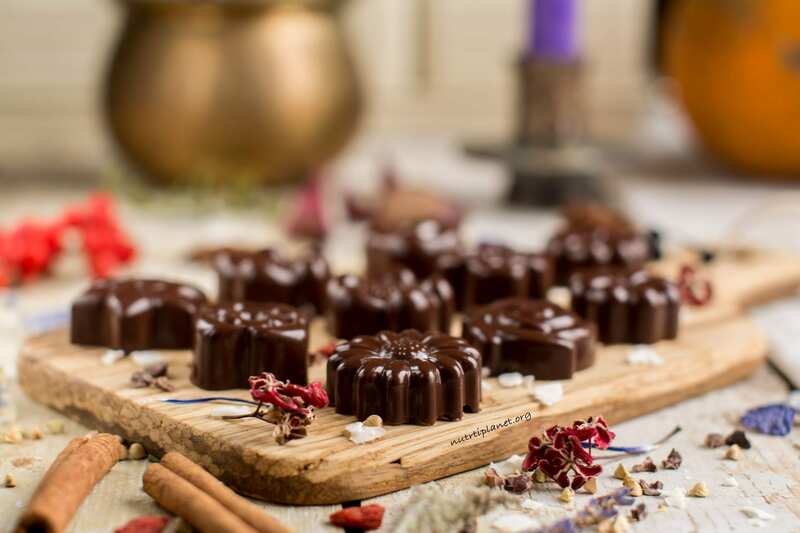 Raw cocoa paste has not been heated above 45°C (114°F) and contains a naturally rich supply of antioxidants. Moreover, it is also known to be one of the highest dietary sources of magnesium. I usually buy raw as well not raw cocoa paste using the first in raw recipes and the latter in baked recipes. Lucuma is a rich and sweet fruit native to Peru. It is also known as the gold of Incas containing iron and calcium. Baobab is the fruit of Africa’s ‘Tree of Life’. Besides containing 34% soluble fibre, it is also a rich source of vitamin C. Soluble fibre contributes to slow energy release, which sustains us for a longer period of time. Hence, it is ideal for those who experience blood sugar fluctuations (diabetics, people on candida diet). Yakon is an ideal substitute for sugar made of yakon root. However, as it is not as sweet as sugar, you’d need to add more. Yakon tube is also very delicious when eaten raw – almost tastes like honey. Carob powder is made from dried, roasted carob tree pods and looks a lot like cocoa powder. You can use carob powder as a natural sweetener because it’s really sweet. It’s also a perfect substitute for cocoa. How much can you add? If you want the same consistency as my raw chocolate recipe below, replace something from the list of ingredients 1:1. However, you can also make the batter thicker – as long as you can whisk the paste, it is fine! Also, it is totally fine if the batter is not pourable at the end – use a spoon to press it into chocolate moulds. Now, the more powders you add, the denser the candies as fat percentage diminishes. However, I find it is totally fine to add about 2 more tablespoons to my raw chocolate recipe. Find out which consistency you prefer! I tend to like the denser candies as it has more flavours and nutrients. Although this here is a great recipe for raw chocolates, don’t forget that it is still not a health food. You heard that right! Even though this lovely chocolate is made of plant-based whole food ingredients, it is all the same quite high in fat, namely in saturated fat (see nutritional info below). So, don’t eat the whole batch at one go. Instead, take it as an afternoon wake-up treat. 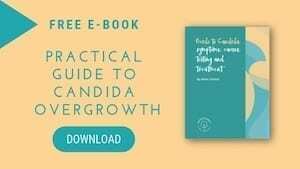 As a former Candida overgrowth sufferer, I use xylitol or stevia in my recipes. However, you can opt for agave nectar, maple syrup, coconut nectar, coconut sugar, yakon syrup, raw cane sugar, or palm sugar. In case you’re new to whole food plant-based eating and/or are used to overly sweet treats, start with more sweetener and as your taste buds adjust, add less every time! So, what are you waiting for? Go to the grocery store if you don’t have the ingredients and whip up some delicious homemade raw chocolate candies! I’d love to hear from you if you do try the recipe – your feedback means a world to me! So, please comment below and/or tag me in social media if you post a photo of your candies. First, chop up cocoa liquor and measure coconut puree and place them into a heatproof bowl. Next, bring water to simmer in your saucepan. Then, turn off the heat. Now, set the heatproof bowl in the mouth of the pot, making sure the bowl doesn’t touch the bottom of the saucepan. Stir cocoa liquor and coconut puree as it softens. Make sure not to let even a drop of water to come in contact with your cocoa mass. You can also use a double boiler or a water bath melt dish, if you have one. Next, take a small whisk and start sifting and mixing in all the dry ingredients one-by-one. Lastly, add ground xylitol and taste. If you think it needs more sweetness, add xylitol or some liquid stevia or even coconut nectar or coconut sugar. To finish, transfer the chocolate mass into silicone or paper moulds and place it into fridge or freezer until set. Nutritional info (for 2 candies, 8 grams, 0.3oz each): 63 kcal, 5.3g carbohydrates (33.6% of kcal), 5.14g fats (73.3% of kcal), 1.48g protein (9.39% of kcal), and 3.53g fibre. You don’t need to worry if you don’t have all those superfood powders. Lucuma and yakon powder can substitute one another. Furthermore, both of them can be replaced with carob or mesquite, as they are all sweet powders. Baobab powder gives a fresh and a bit of sour taste and can be substituted with similarly tasting powders, e.g. rosehip powder, acai powder, camu camu, sea buckthorn, or wild blueberry powder. 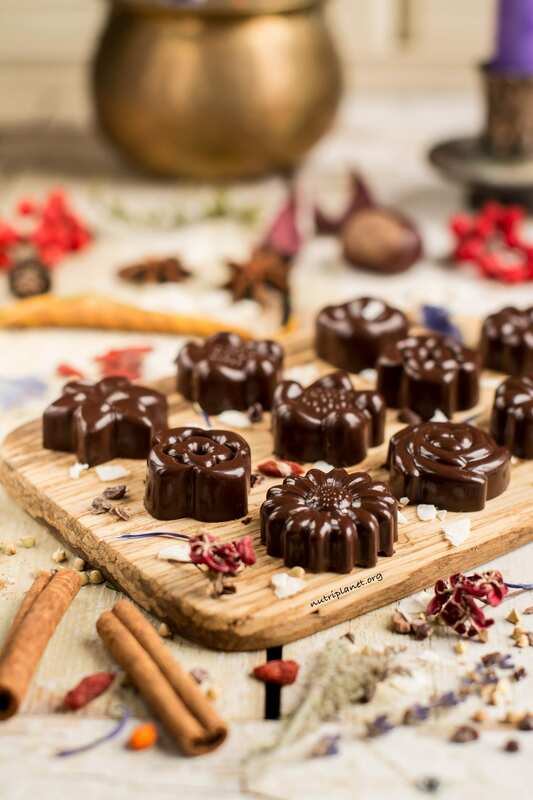 Instead of paper or silicone chocolate moulds you can also try using ice cube trays. However, I imagine it must be harder to remove the candies when they’re set. Disclaimer: this blog post contains links to products that meet my requirements. I would have zero willpower around these. 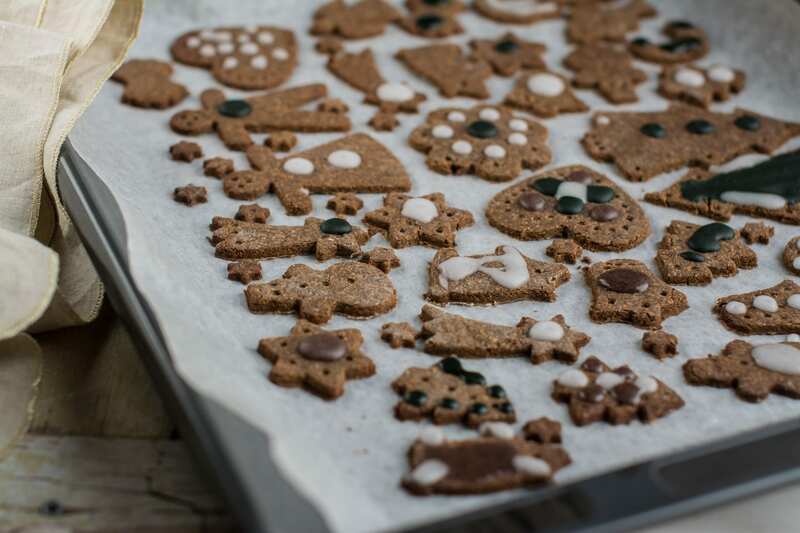 Loving this recipe, Nele! The addition of lucuma makes me happy. It’s such an underused ingredient. Glad you snuck some in these. Thank you Nicole! Eating them right now! 🙂 Luckily I only have 4 left, so I can’t eat more! I love lucuma and mesquite as well. I also add it to my desserts as it gives such a nice flavour! This chocolate looks divine. Thank you for all your incredible recipes and the beautiful presentation. I’m in heaven looking through your site!